The positive energy in the room was undeniable. 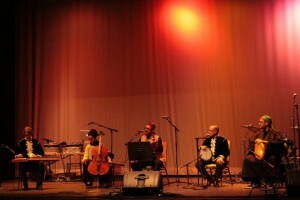 Over 500 people gathered at the Washington Cultural Center in Chicago for Community Cafe, a night dedicated to music, spoken word, dance, comedy, and urban solidarity. 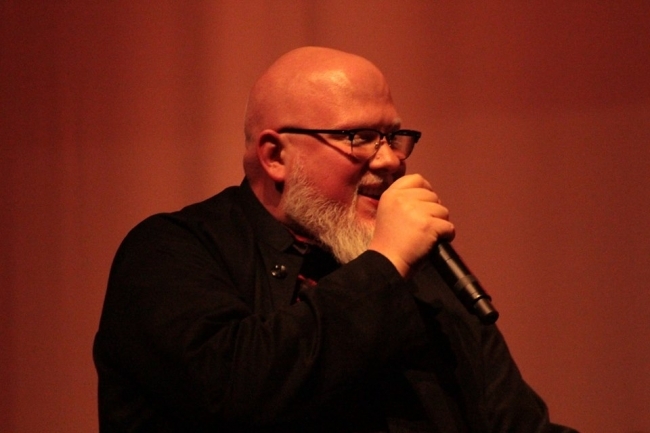 The event was hosted by Inner-City Muslim Action Network (IMAN) and Zakat Foundation of America (ZF) and included well known artists such as Brother Ali, Mick Jenkins, Rhymefest, and Firdaus Ensemble. One of the emerging artists that took the stage was , a Chicago native who’s received much praise from music blogs and critics alike on his last project titled Waves. Aside from delivering a strong performance, Jenkins also advised the crowd to continuously pursue knowledge for your own self. 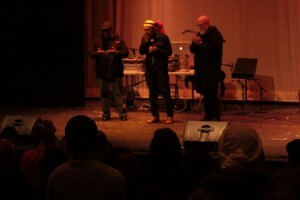 Brother Ali also wanted to leave the night conveying a message to the youth. 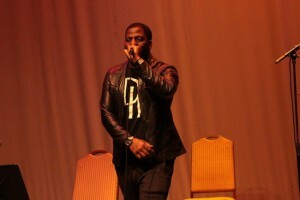 In between moving effortlessly through his songs, Ali discussed his personal struggles of acceptance during his upbringing. “Always love yourself,” he said. Many of the artists touched upon contemporary issues facing young urban America such as police brutality. In a hyper-segregated city such as Chicago, the need for a space such as community cafe’s has only become more vital for different people to come together and unify on various social justice campaigns. Before the night ended, Brother Rami Nashashibi, Executive Director of IMAN, went on stage and thanked the crowd for coming out. Nashashibi also talked about major upcoming events such as Takin it to the Streets, an annual summer festival at Marquette Park. This year will honor the legacy of Martin Luther King Jr, who 50 years ago campaigned for fair housing in the same neighborhood.